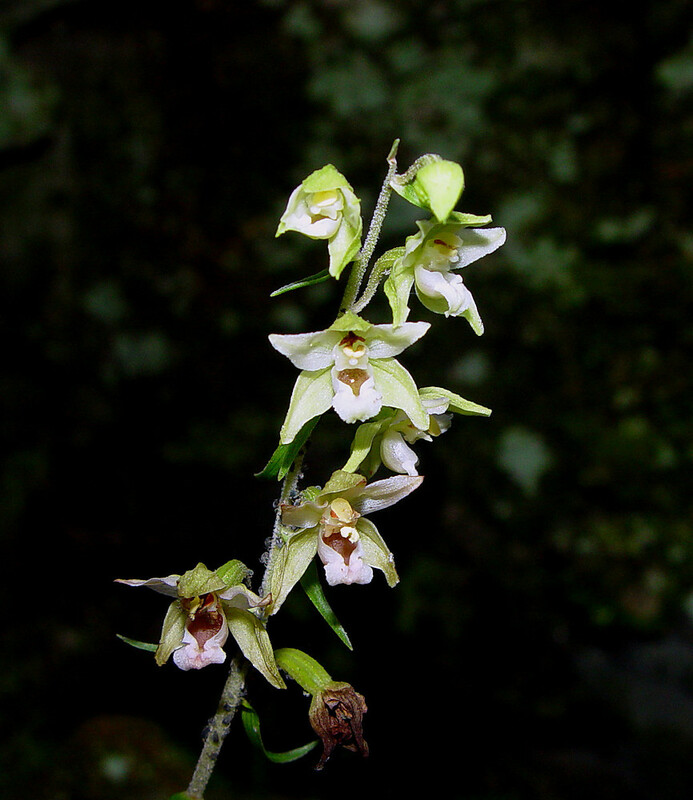 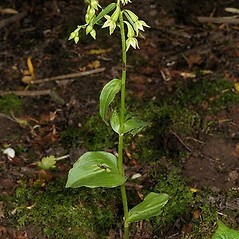 Broad-leaved helleborine is New England's only widespread non-native orchid. 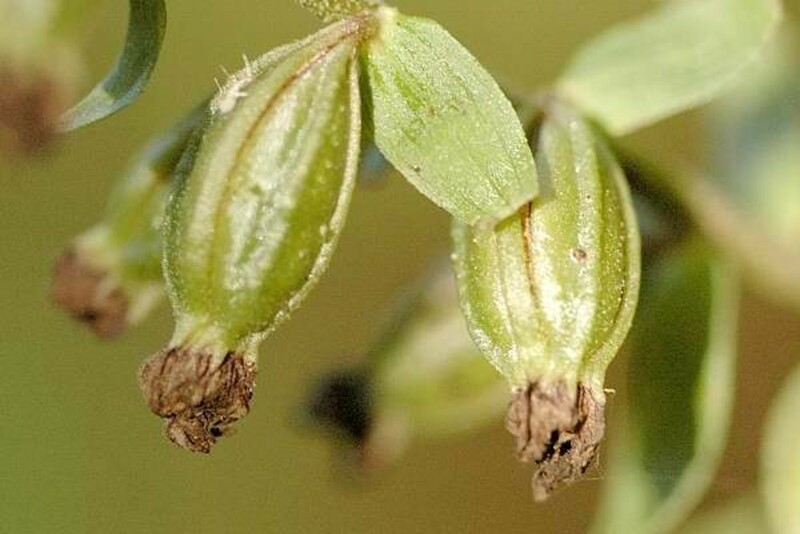 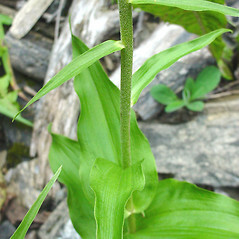 It was discovered in New York in 1879 and has become an aggressive weed in some areas. 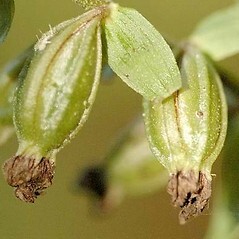 In its native Europe it is pollinated primarily by wasps. 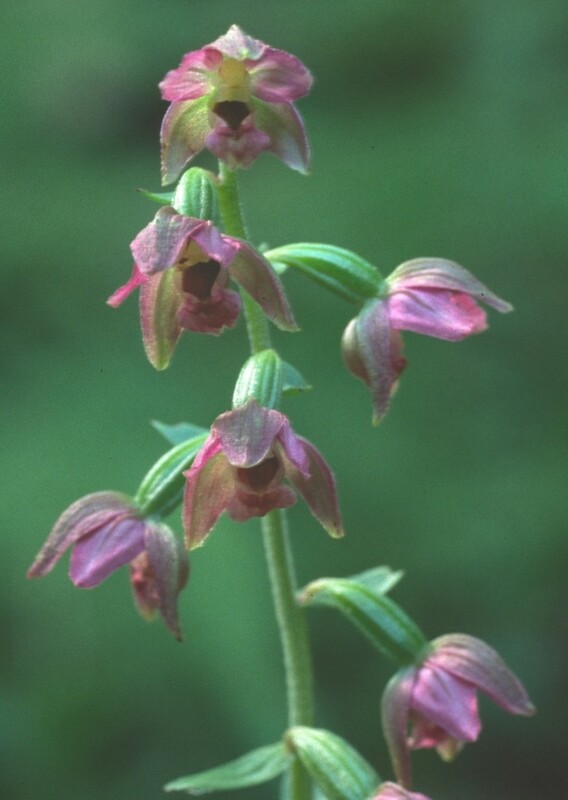 labellum 5.5-6.5 mm long, ovary tomentose, and sepals dark red to red-purple (vs. E. helleborine, with labellum 9-12 mm long, ovary glabrous or sparsely pubescent, and sepals pale green, pink, purple, or yellow). 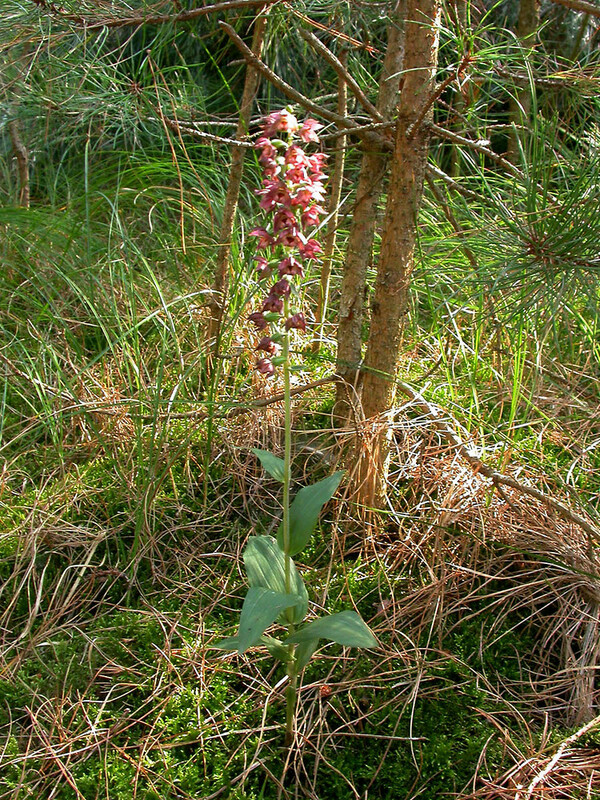 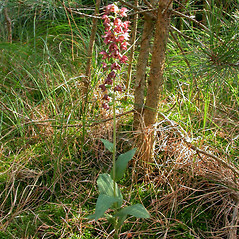 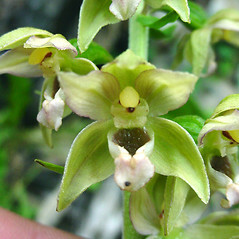 broad-leaved helleborine. 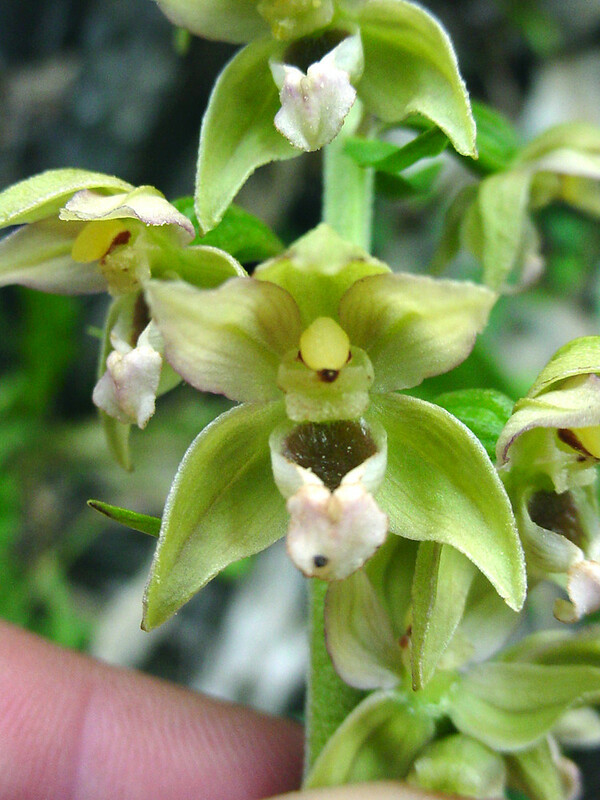 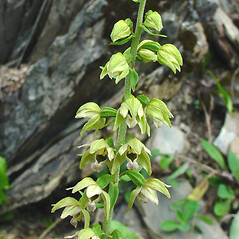 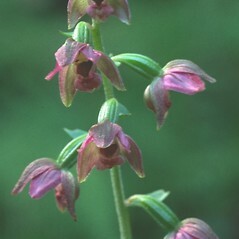 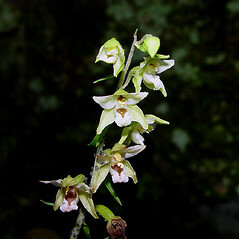 Epipactis latifolia (L.) All. 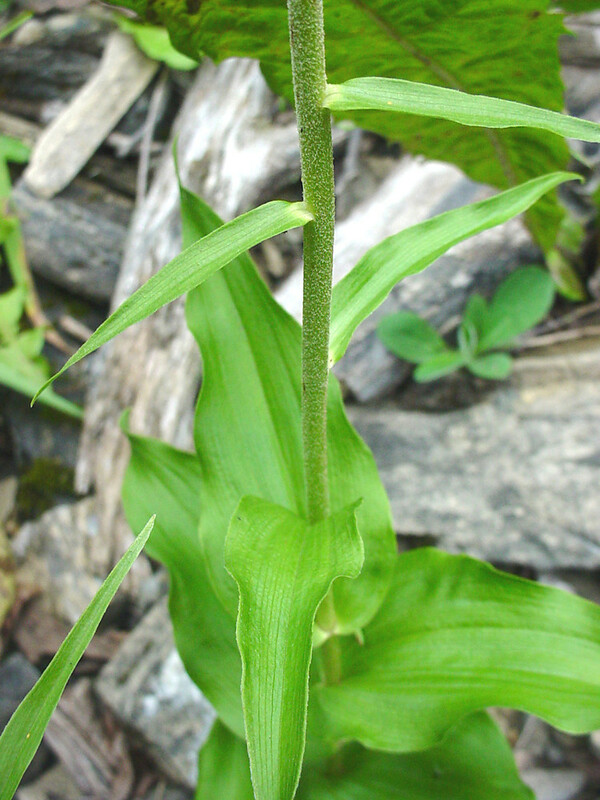 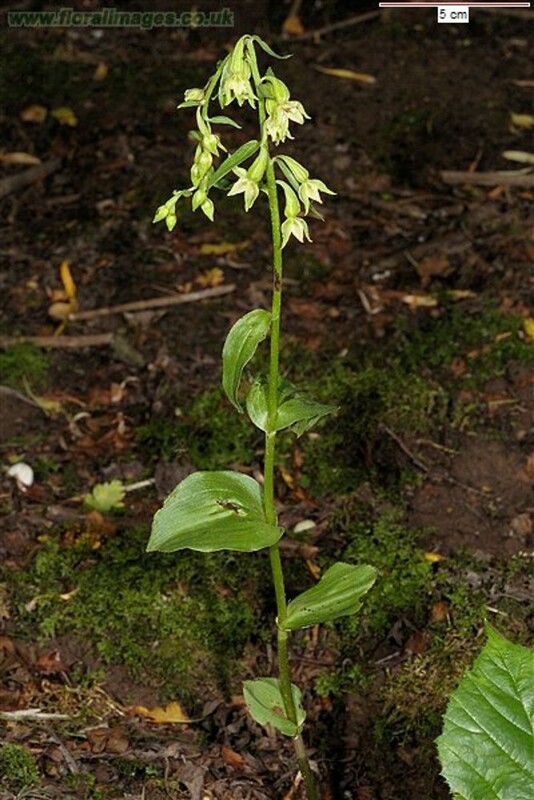 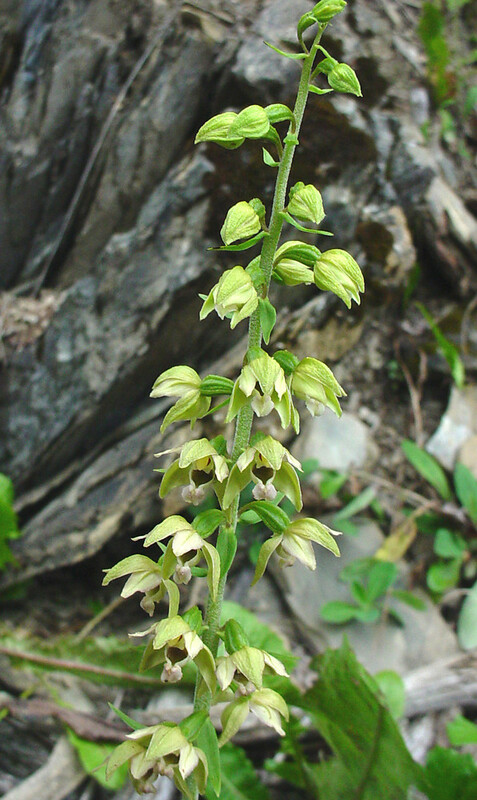 ; Serapias helleborine L. • CT, MA, ME, NH, RI, VT. Dry-mesic to hydric forests, stream banks.